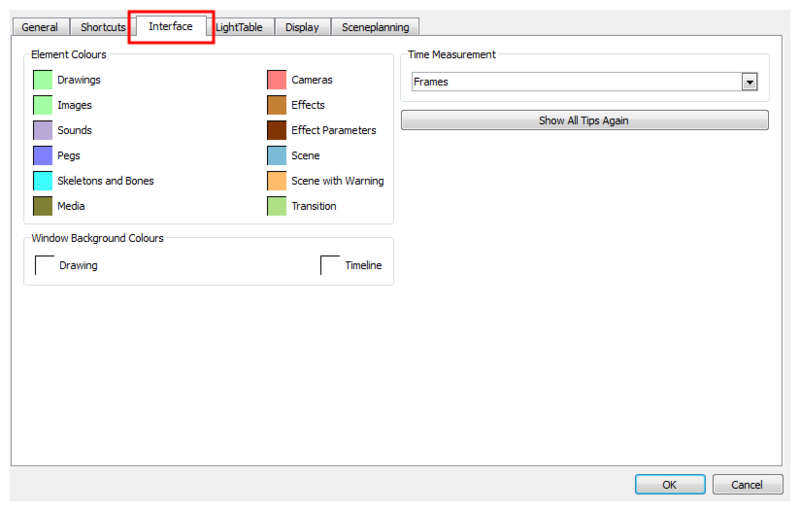 When working with the bones feature, you can set the colour preference of the bone display from the Preferences panel. 1. In the Preferences panel, select the Interface tab. 2. In the Element Colours section, double-click on the Skeletons and Bones colour swatch to display the Select Colour dialog box. 3. Pick a colour in the Select Colour dialog box and click OK.
4. In the Preferences panel, click OK.
5. Every new Skeleton Effect you create uses colour as its default display in the Timeline and Camera view. You can also change the colour of an already created Skeleton effect by using its Properties view—see Skeleton Effect Properties.